911uk.com - Porsche Forum : View topic - Black bucket seats in a grey interior car? 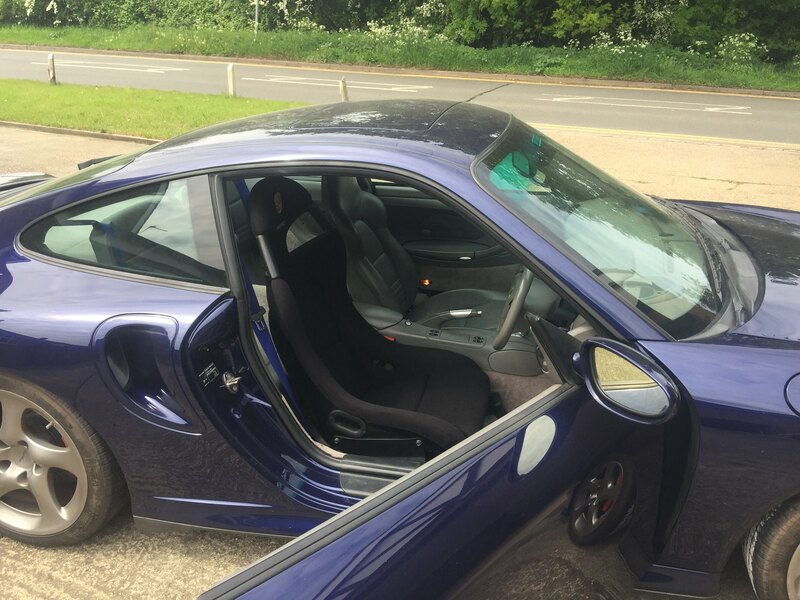 911uk.com Forum Index > 997 (2004 - 2012) > Black bucket seats in a grey interior car? 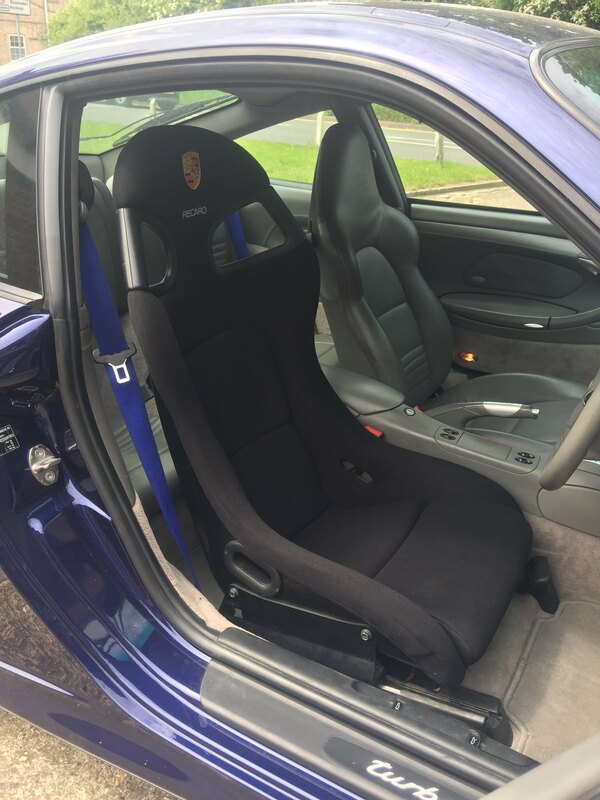 Posted: Thu Jan 17, 2019 8:20 pm Post subject: Black bucket seats in a grey interior car? As per the above title, I have a full light grey interior in my silver 997.1 c2s. Have been unable to track down suitable grey bucket seats so contemplating putting black ones in. Would this look totally silly? I thought if I went for it, I could always get some black rear seats too. Cheaper than re upholstering black buckets in grey and devaluing them when time comes to sell. I will keep the original seats for relate time down the line. Not a 997, however check out member Lig's post in the following thread. It shows Black Recaro Pole Positions in his Classic Grey 993 Interior. If I were doing it , I would get from the breakers a black lower dash and armrest, gear know , hand break to bring it together . I went through the same dilemma with my grey interior car and I think it would never quite look right. I considered retrimming the centre cushions in grey to tie it all in a bit, but it would still look odd. In the end I had the black buckets fully retrimmed in grey. It's a shade out so you could still argue it doesn't match , but overall I think it looks a bazillion times better than it would have with them left black. I wouldn't hesitate for a moment. 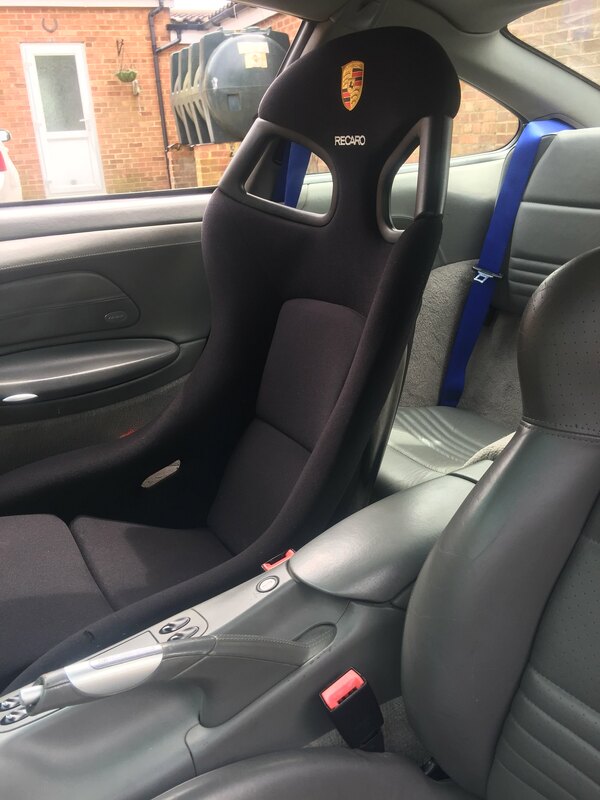 I run a black Sparco Evo II in the other car, and it does look a bit odd alongside the standard "sports" seat (black leather over red cloth), but I've no choice as I still need to get one of the children into the back (and the Evo II is a fixed back non-sliding bucket).